Improve your Human Resources Employee Benefits package and add us to your employee’s offer letter. Attract the best employees and improve your employee loyalty, retention and satisfaction. Save your Company time and money. Boost employee morale by upgrading your rewards and recognition. As Human Resources Professionals your membership with Celebrations will certainly make your Cayman lifestyle as stress free as it should be. We have for thirteen years helped businesses develop the perfect corporate gifts strategies for celebrating success, rewarding their employees and recognizing top clients. The service provided is the very best in corporate gift giving and selection by the assistance of our lifestyle managers. Whether you’re sending one gift or a thousand, you can be 100% comfortable and confident in your relationship with our Business Gift Services. Your company employees and your immediate family will be able to benefit from our extensive experience in handling all your required needs. Your membership provides a number of convenient benefits which includes, but not limited to: a reminder service for special occasions, rewards and recognition, anniversary and Company Milestone gifts, uniquely designed gifts, discounts, notification of new product and special opening hours for better convenient shopping experience. Call your personal lifestyle account manager to add this to your Employee Benefits Package. 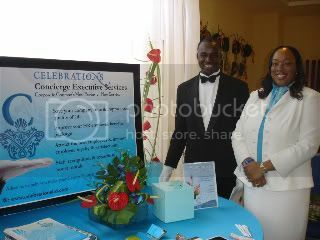 If you'd like to join Celebrations' Concierge Executive Services, please email us at executive@celebrationsltd.com.